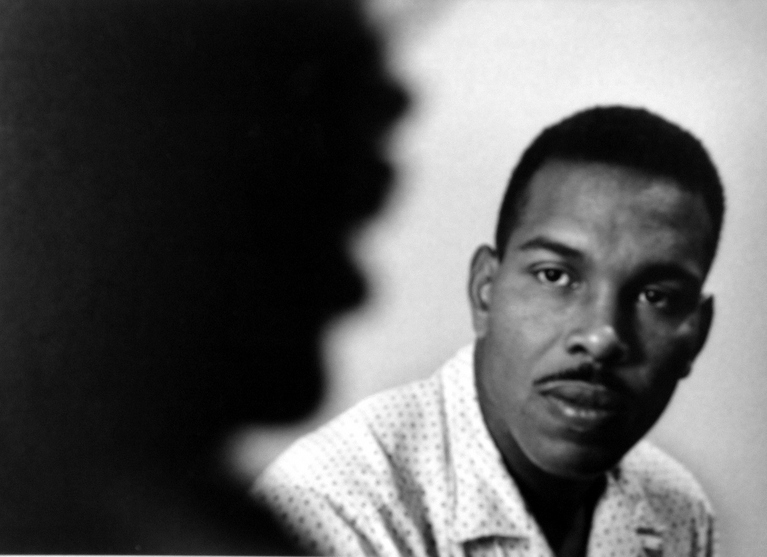 In 1960, college student activists gathered at Shaw University in Raleigh, NC, and organized the Student Nonviolent Coordinating Committee (SNCC) to fight for civil rights. SNCC played an important role in civil rights history and was fundamental to the organizing of sit-ins, freedom rides and other forms of direct-action protest. 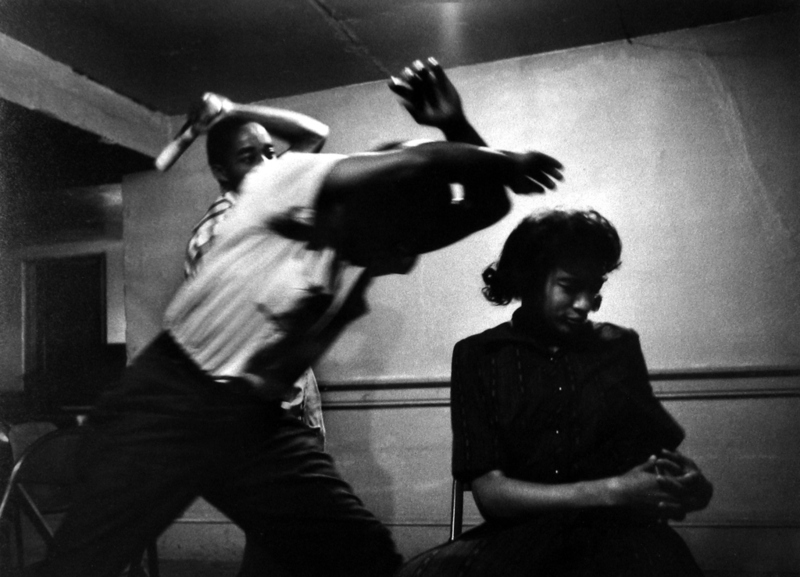 To prepare for the type of hatred and violence they would encounter, students practiced “passive resistance training.” While SNCC was non-violent, the type of training the students had to do included everything from verbal abuse and hair pulling, to spiting and getting aggressively physical. 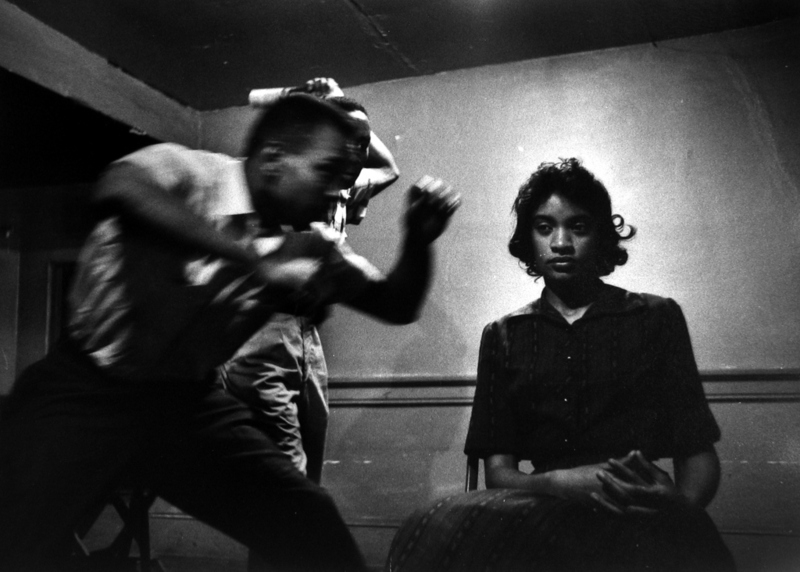 These training sessions, briefly depicted in a scene in The Butler, were difficult and often included white members of the group having to enact the racism the group was fighting. 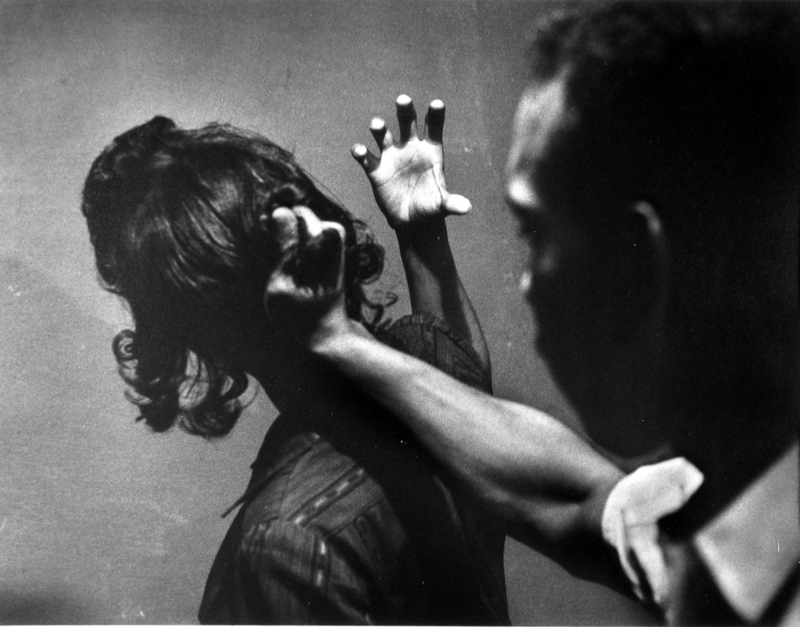 These photos provide a rare glimpse into the emotional, physical, and psychological work activists did in order to prepare for their non-violent resistance. 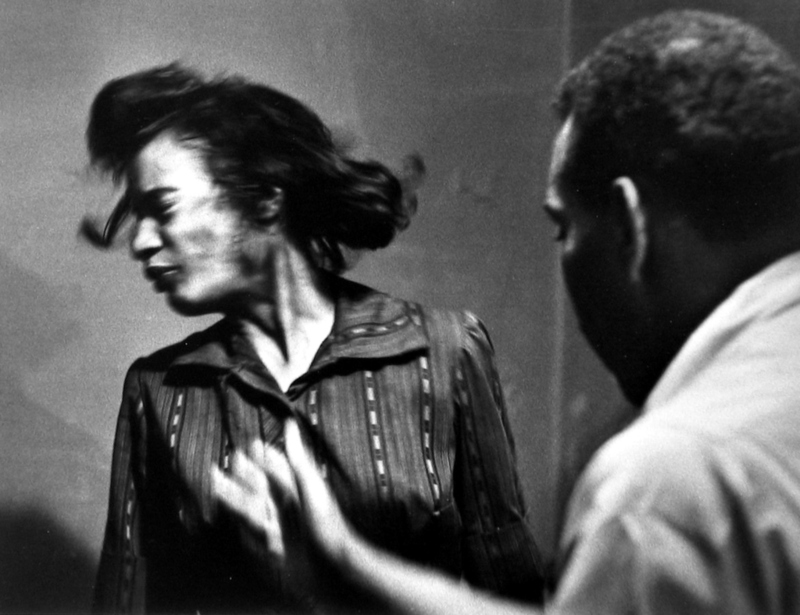 They were taken by the legendary photographers James Karales and Eve Arnold. These photos have been published with permission from their respective estates.